Bag Stuffing Space 14" x 16"
Arctic Holiday designed by Marie Noah combines traditional piecing with fusible applique. 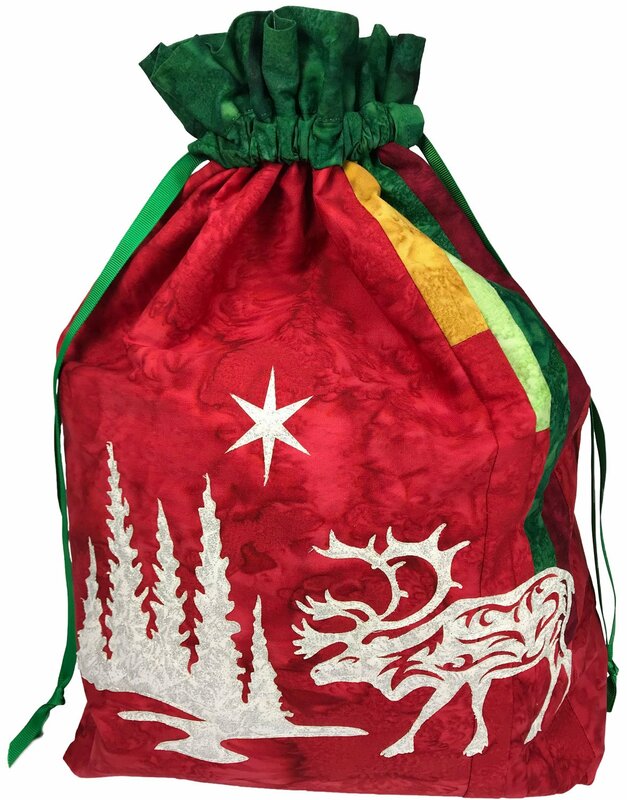 How wonderful to have this eco friendly gift bag that makes gift wrapping year after year a breeze. Fabric & ribbon to complete 1 gift bag as pictured.